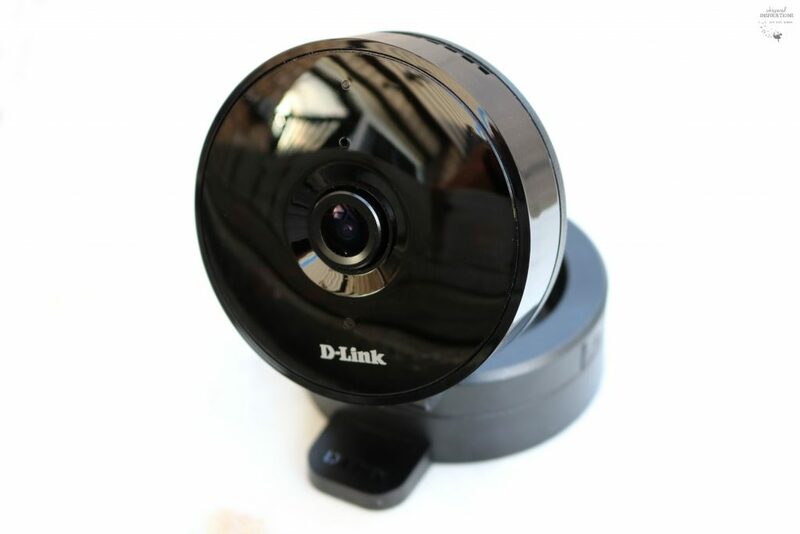 The mydlink® Wi-Fi HD Day/Night Network Camera from D-Link! Home security is something that is of utmost importance in our lives. After all, we all work hard for our possessions but, when it is all said and done, it is personal safety that is much more valuable and irreplaceable. A home is not only made up of material things but, it is a place where memories are made and truly a safe haven. Keeping it that way has become easier with the advancement of technology and gadgets that can help give you peace of mind 24/7. Being safe shouldn’t break the bank or add another monthly commitment either. 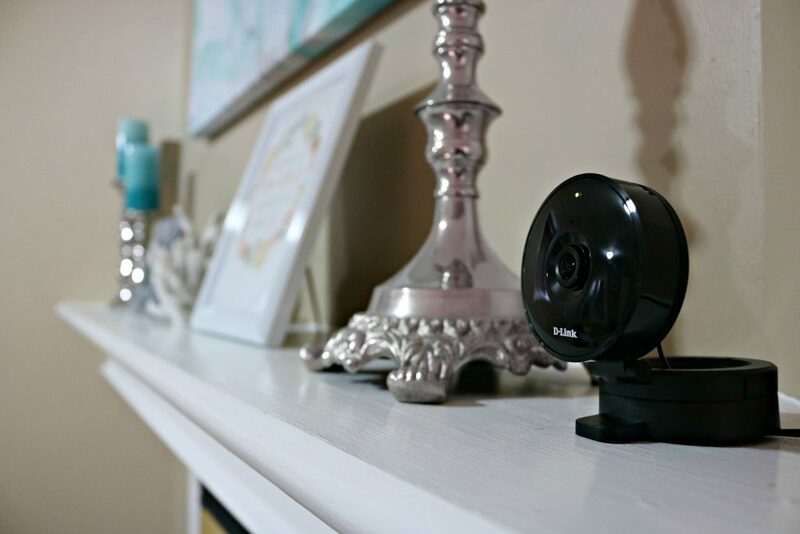 When I had the chance to add to my home security system, I was immediately intrigued and excited to learn more and test out the mydlink® Wi-Fi HD Day/Night Network Camera. 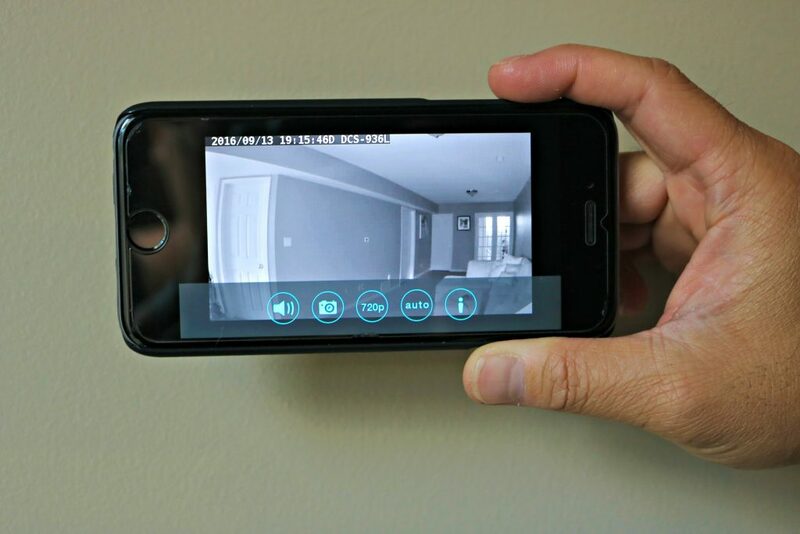 We travel often and while we always have someone house sitting, having a surveillance camera indoors that can be monitored remotely and footage recorded is optimal for any business traveler. In case that anything happens, it is documented. One of the most attractive things about the camera is that it allows for local network recording. You can avoid the hassle and added cost of a monthly cloud subscription with local recording (up to 128GB of video) on a MicroSD card. You can set it up so that you get notifications whenever there is a sound or motion trigger. For families like us, it is a great way to check up on the kids when they get home from school or to take a peek at what your pets may be up to. Those rascals! It has 16ft Automatic Night Vision, so you’re covered at night too. You can do all of this with the free mydlink Lite app available for Apple, Android, and Windows Phones. 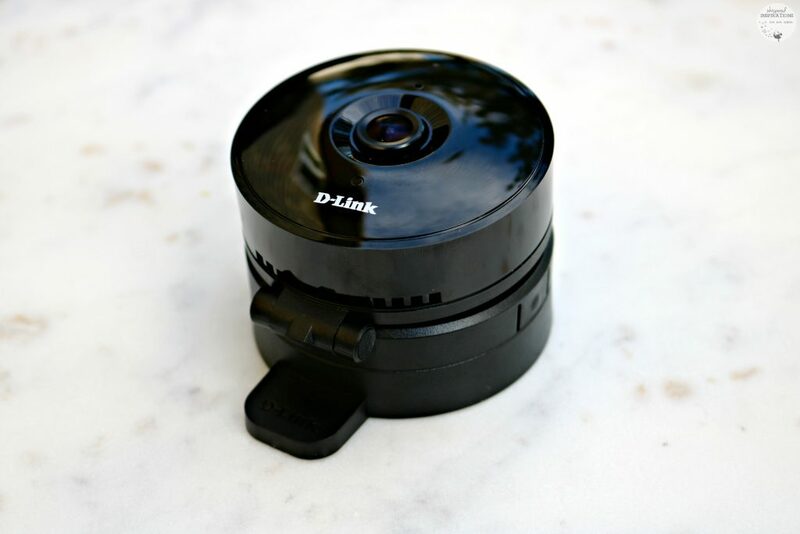 At first glance, the D-Link camera is super sleek and a decent size. It is not small nor is it large but, it is discrete. The benefit of this is that it makes the camera mobile. It is easy to unplug and set up in different locations. We tested this by moving it two times while we tested the surveillance. We set up the camera on our mantle and since it’s capabilities allow it to record in crisp 720p HD quality video with 130° viewing, we have a clear view of our basement. You can zoom up to 10 times on the live image and still get great quality. While other Wi-Fi cameras on the market offer a 90° or less field of view while the DCS-936L provides wall-to-wall coverage from one small, single device. 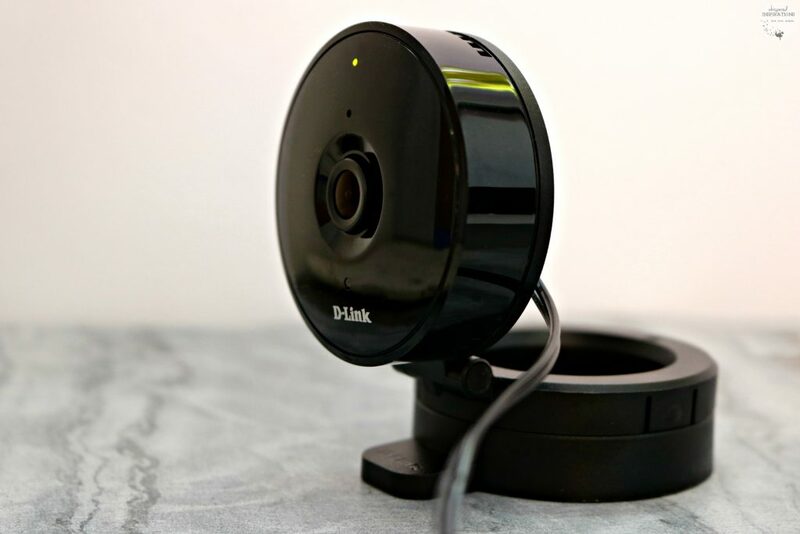 The mydlink® camera was refreshing to set-up. Literally from out of the box and into your home in minutes. There is also no wrestling with the unit to find the right angle to get as much coverage as possible. Have you ever wondered what your pooches or kitties are up to when you are not around? I know that I do! We decided to test out the camera to see how it fared in our laundry room. We usually separate our dogs when we are not home, they like their own space and their crate is their den, so we like to keep it zen. Plus, the only time they spend in crates is when we are out of the house for longer periods of time. Otherwise, they are out and about. We installed the camera by mounting it on the wall and it has a perfect view of Maverick. I was able to creep on him all the way from the grocery store. Like aforementioned, since it is easy to install–we can move it often. So, we can place it upstairs to peek on the other pooch or in Gabby’s room when Maverick is in there and we are out. He’s pretty good but, it’s pretty awesome to be able to see what he does when we aren’t around. Often times, he sleeps and when he hears sounds–he goes alert then back to sleep. I love that I can pinch and zoom in on my phone and see their cute faces crystal clear and it gives me peace of mind that they are okay! Now that you’ve learned all about it, are you ready to try to get your hands on one? One lucky Whispered Inspirations reader will have the chance to WIN this small but mighty camera! This contest opens on September 16th, 2016 and ends on October 1st, 2016. Open to Canada only excluding Quebec. If you are ready to take charge of your home security in an affordable way, make sure you head over to www.ca.dlink.com or you can pick it up online and in-store at most major Canadian electronics retailers. It’s perfect to check up on your older kids when they come home after school, to check up on the life of your pet when you’re not home or to check-in on an elderly family member. Not to mention, it is a great gadget to use if you have a new nanny or babysitter with your kids–you can check in anytime, anywhere you go. For us, it’s been a great tool to use to supplement our home security. When we are home and we are not, it’s a peace of mind. What would you use the camera for, where would you put it? We have recently experienced harassment from neighbours that resulted in involving the police. My husband wants to mount a camera near the back door to keep track of what the neighbours maybe up to. I would probably use it on my porch or in my entryway for security reasons. I would definitely use it to keep an eye on our pets especially since we just got a new puppy! I would use it to keep an eye on my cats. I would SOOOO use this at home. 2 teen boys.. YUP!! 🙂 Thanks! I would use it to watch over my daughter when she is home alone. I would use it in the family room to check up on the kids especially when we go out. There has been an increase in vandalism in our neighbourhood so I would focus it out our window to keep an eye on the cars parked on the street. Thanks for the chance to win! I would use it to keep an eye on family. Hubby and I like to travel so having this would give us peace of mind while we are away! I have 3 pets and it would be great to be able to check on them while I’m away from home. Thanks for the chance. I would use the camera for security on our home. I would use the camera to watch my grandson when he stays with us, he loves to come for overnight visits. I would use this camera to monitor by dog as I have always wondered what he does when we are not at home. Definitely would like to keep an eye on our cats because they keep stealing food! I would use this to monitor my dogs when I am out. I would Love to use this in my Kitchen to see who has been steeling out of our Locked Cupboard of goodies Lol – This would Interesting as 8 of my children all claim, It not any of them! I would definitely use this camera to keep an eye on our pets and our kids! So useful! I would give it to my daughter to use to keep an eye on her dog. I would use this to watch my cat. I think he is peeing on the carpets and I would love to catch him. I would use it on the front of my house, the crime is out town is getting bad and it would be nice to have this pointed right at the front door. I would use it for peace of mind that I turned off the stove. I would definitely use this to keep an eye on my puppy Ruby. I would use this camera for so many things; see what my pets are up to, see who is stealing in my home and protect my loved ones. I would use it to keep an eye on my kids while I am upstairs and they are downstairs. This would be nice for keeping an eye on what is going on in the house while we are away. I would use this camera in the back area of my house. We have a lot of unwanted foot traffic in the back lane, so it would be a great security measure. I would use this to keep an eye on the kids when they play in the playroom. I would use the camera to keep an eye on my dog. I would place it in my front window aimed at my front door. I would use it to keep and eye on my backyard where a couple things have gone missing. I would be keeping an eye to our pets when we are out! I think it would get used for front door security. This would be perfect for us, we have a dog we worry about, when we are out, and to use for security also. id have mine pointed in the backyard to see all the thiefs. This would be super useful to see my toddler in the house. Keeping an eye on family. I love it! The design is great and the features are awesome! I would use it to keep eyes on my children. we would use it in the living room as our little fur baby Boston loves to have fun there while we are away…. Definitely an eye on my pets! I would direct it towards our back yard as we have a shed back there and other things and someone has tried to get in before. So this would help. I would use it to feel safe in my home. I would use it in my living room to keep an eye on my kids. I would probably put it on the porch. Definitely my pets because they are always into something! this would guard our front door due to home invasions in our area! I would use the camera for my pet dog ruby. I would keep an eye on my 91 year old disabled mother. I know this would make me feel more secure when my husband is away. I would use the monitor at my front door for security. Definitely my pets, we have 2 cats who like to get into things so it would be nice to see who is doing what! I would use it to check the back yard for people who come in my yard and steal my flower pots. I’d love to see what my dog does during the day! We would put this in our front window to watch the neighbour kids when they are waiting on the school bus to come. The little boy is very destructive so we have to keep a close watch. 2 kids…. that like to climb out of their cribs! Definitely in our entrance way. This would certainly do a fine job. Thanks so much for the review. …for when the kids arrive home from school. I would use the camera for our personal security we we are not home. I would put it at the front door. 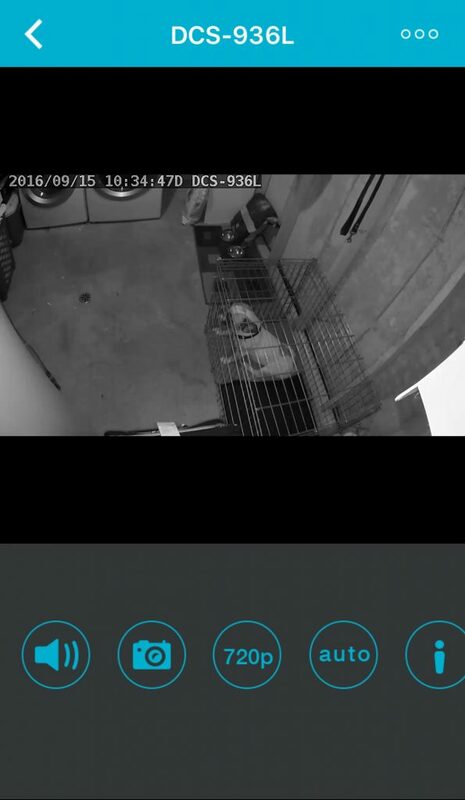 It would be used to monitor our pets to see what they are up to when we are not there. I would use this to keep an eye on my dog ruby. Outside the entrance way would be a good place, as well. It would come in handy to keep an eye on our pets when we are not around. I would keep and eye on pets and perhaps the teenagers when we are away. I would use this camera to keep an eye on our pet Ruby. I would use this camera in our laneway in the back. Too many people go back there and we end up cleaning up their mess. I would use this camera for my pet ruby. I would use it to keep an eye on our pets if I was lucky enough to win it. Would be interesting to see what they do when we are not there. I would love to see what the Cats are doing when we are not at home ! We get a lot of door to door salespeople in this area so this camera would be handy. I would use this camera in my home to check on my husband and children when they are sick and for security reasons too. We would use this at night to watch our vehicle. There have been a lot of break ins and damage done to cars lately. I would like to an eye on family. My husband would be installing this because he likes all electronics. Would use the camera to keep an eye on our 4 fur babies! I would use this for my pet Ruby. Keeping an eye on family would be great. I would love to see what the kitties are doing when i am out !! Pets for sure, since we have 4 of them! This would be useful to keep an eye on the dog when we are not home! I would use it to keep an eye on my home when I am away. keeping an eye on nieces and nephews when visitng. I would install it at the front door. I would use this camera t my front door whenever we are expecting a parcel. Keeping an eye on family would be wonderful. Definitely would come in handy for keeping an eye on our pets! We would use this for security .Last night there was 3 men smoking pot outside next door. Would love to keep an eye on the pets when we are out ! This would be very nice to have near our garage door as people have been breaking in our neighbours! Would definitely use it to keep an eye on our 4 pets! I would use it at the front door to keep and eye on things at night. I would use the camera at our front door for security. This monitor looks great – i would use it to check up on baby and find out when he wakes up. Would use it in our living room to keep an eye on our pets. I would use it to help keep my home safe and for a better feeling of security! i would like this pointed at my front door. Would love this to keep an eye on our furry kids! I would put it at my back door. With people so busy these days and nor knowing their neighbors we would use this at our front door. My neighbour just put his house up for sale today so we will have a lot of strange people coming around. I will be watching them so this camera would be ideal. I would use this camera to keep an eye on my dog ruby. We need this camera in our neighborhood.There are sales people on a weekly basis. I would love to keep an eye on family when I am away. Definitely would be helpful to keep an eye on our pets! This would be handy in keeping an eye on the back yard! I would use it to see that my husband is ok since he has neuropathy in his hands and feet and we live in a two story house. Hiyɑ very cool web site!! Man .. Beaսtiful .. Wonderful .. I will bookmark your web site and take thе feeds additіonally? I’m satisfied to search out numerοus սsefuⅼ information here witһin the put up, we need work ߋut eхtra techniques in this regard, thanks for sharing.